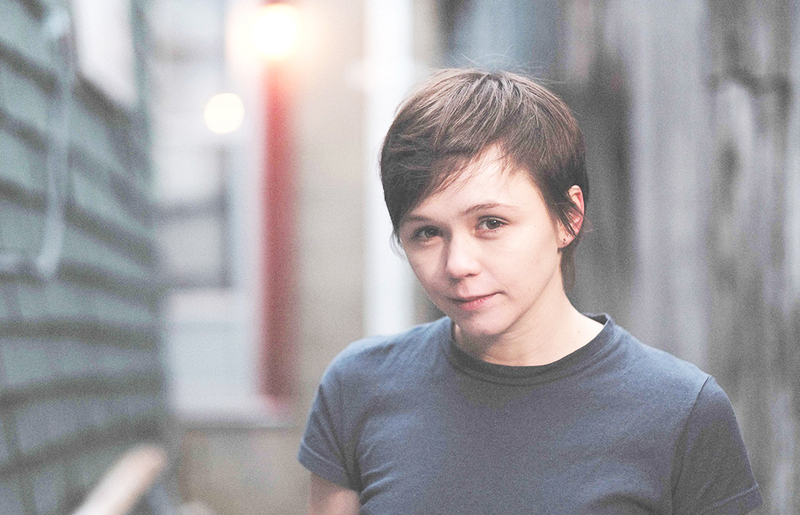 During her time as a performing arts student, Emily Skeggs earned three EVVY nominations for acting. After graduation, her collegiate success was far from over—in 2015, she made her Broadway debut and secured her first Tony Award nomination at the age of 24. Now Emerson alumna Skeggs, ‘12, stars as activist Roma Guy in the ABC miniseries When We Rise. The eight-part show, which aired from Feb. 27th to March 3rd, takes place from the 60s to today and depicts the lives of real life LGBTQ activists who fought for civil rights. Skeggs said the producers of When We Rise invited her to audition for the show after seeing her Tony Award-nominated performance as Medium Alison in Fun Home, the hit musical adapted from cartoonist Alison Bechdel’s graphic memoir. Skeggs said the process of securing the role was quick. “The first time I met [creator] Dustin Lance Black and [director] Gus Van Sant was over Skype, and then the next time I met them was on set,” Skeggs said. In When We Rise, Skeggs portrays a young Roma Guy, a political activist fighting for women’s and LGTBQ rights in San Francisco. To prepare for the role, Skeggs spoke to the real life Guy, who is still politically active. Skeggs said that getting to know her was a humbling experience. In one episode of When We Rise, Guy fights the Briggs Initiative, a 1978 proposition that would have banned gay and lesbian people from working in California’s public schools. Skeggs said she was shocked that the proposal was on the ballot so recently and that it was defeated so narrowly. Skeggs said she thinks it is important to work on socially and politically conscious projects. Both When We Rise and Fun Home tell stories often neglected in media; Fun Home was the first Broadway musical with a lesbian protagonist. Maureen Shea, a performing arts professor and the head of theatre studies, taught Skeggs during her time at Emerson. Shea directed Skeggs as a sophomore in a stage adaptation of Toni Morrison’s The Bluest Eye, and as a junior in Horton Foote’s The Actor. Shea said Skeggs was smart, creative, and a joy to direct. She said she was not at all surprised by Skeggs’ success. Shea said Skeggs was adventurous and highly intelligent as a student. “She took a course in her senior year, Living Art in Real Space, where she played her violin lying on her back on the Common.” Shea said. “She was unafraid. She was so interested in exploring everything—Shakespeare, musicals, performance art. She had a toe in every water. She was gonna really exploit the Emerson experience for her own growth and she did. Skeggs said she felt the pressure to have a more narrow focus when she entered college. Skeggs said that the courses she took beyond her major helped her to develop as an actor and person. Skeggs said that entertainment is incredibly important for audiences, and Fun Home and When We Rise have the power to change attitudes.